When you hear the words “Green Cleaning”, it is hard to know what is and is not true. Same with any type of cleaning. We are taught by our Mothers, yet often find ourselves idolizing what our Grandmothers did. Are their cleaning strategies true or are they bunk. Cleaning is necessary and seems to accompany much of our time between washing our hands, showering, doing dishes, undertaking laundry. All of that before we even begin to clean our workplace and home! Due to more efficient methods of completing our cleaning tasks (e.g. dishwashers and vacuum cleaners) we spend less time on these chores. This is good news since we also experience increased demand on our time. Huffington Post cited a cleaning time analysis study reported by The Telegraph. Women today are typically only spending approximately 18 hours a week (or 2.6 hours a day) on housework including cleaning, grocery shopping and cooking as opposed to 50 years ago when the average was a whopping 44 hours. Despite less time being spent on cleaning, it does not represent an equivalent decrease on what we spend our hard earned dollars. In fact, cleaning supplies and tools came in third place amongst sales of household products in 2013, following behind batteries and baby accessories. Annual consumer expenditures on cleaning supplies was a total of 1.96 billion U.S. dollars in sales in 2013. Mix having less time to spend on cleaning and spending more money on cleaning products and tools, we can understand why we rely on what we were taught by our elders. Quite simply we do not have time (or oftentimes interest) in doing the research of what is the good, the bad, and the ugly. Frequently we are going so fast that we do not have the capacity to learn. As a result sometimes we end up leaping before we think. So what is true and what are myths? 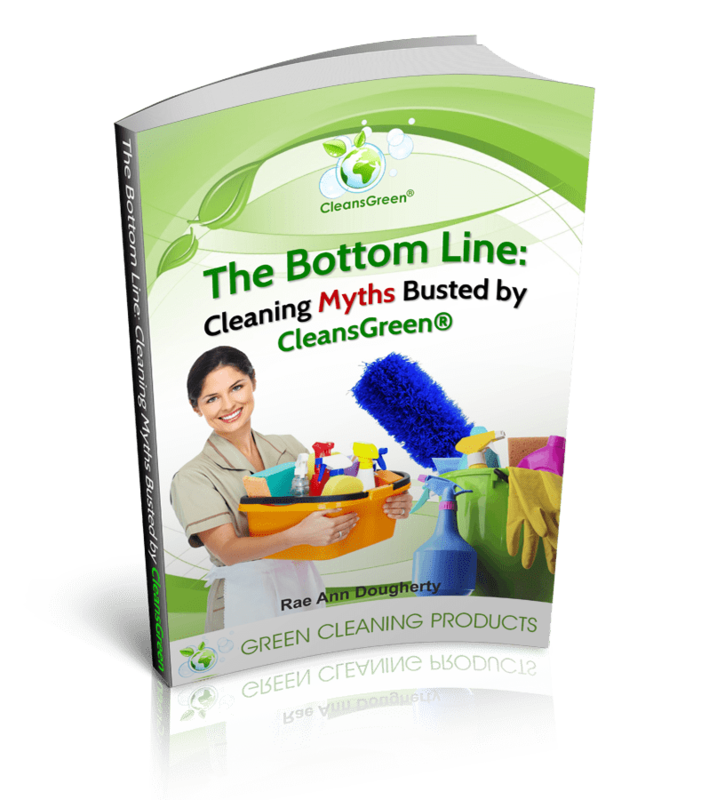 Green Cleaning Products LLC is seeking to help you through their latest publication, “The Bottom Line” Cleaning Myths Busted by CleansGreen®.” Twenty-four commonly held cleaning myths have been busted and explained as to why. Additionally alternatives and options are provided for your consideration. Sign up now to receive your own copy of this 30 page eBook.